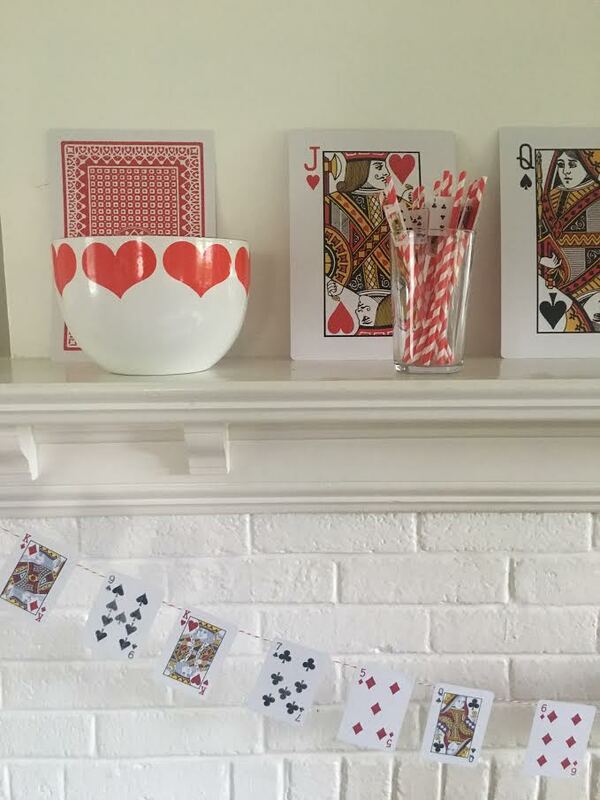 For easy decorations, we purchased an oversized deck of cards and lined them up on the mantle, windowsills, wherever we could. If you’re like me, you have lots of decks of cards and not all of them complete. I used one of these to make a card garland by hot gluing them to some baker's twine. I was low on time but had wanted to get a bunch of red and black balloons. Balloons always serve as a lot of décor for a very little effort. 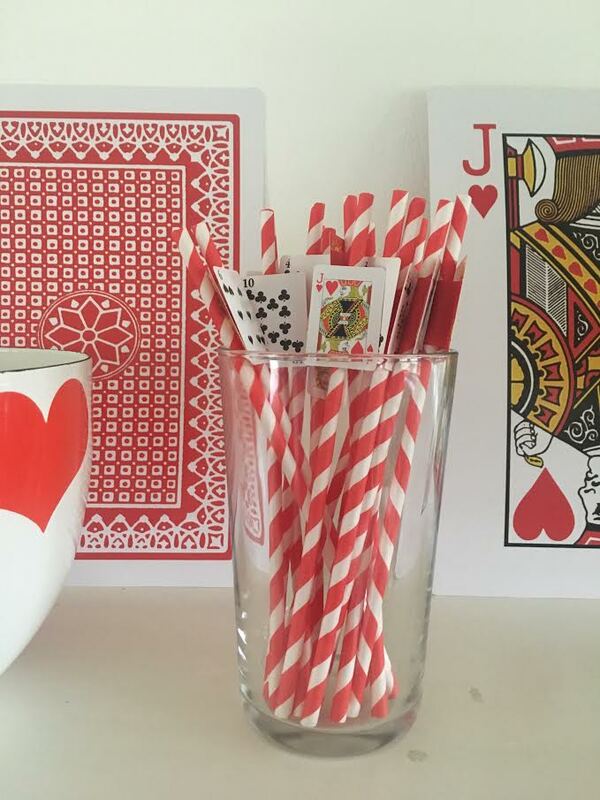 I hot-glued some mini playing cards to striped paper straws. Lastly, I cut out an oversized paper heart, spade, club and diamond and hot glued them to string for another garland to hang between rooms. Each kid got to take home a deck of cards, a lollipop, some black and red candy, and the custom-written cautionary tale that I mentioned above. We've hosted a few non-birthday game nights for our kids as well. Some of the games our boys like are Magic: The Gathering, Settlers of Catan, Codenames, Wizard, and Apples to Apples. Have you ever had a kid's game night? If so, what games were a hit?